The Mexicali, Baja California-native artist is also a hub of activity in Mexico, across visual and sonic media. So for The Changing Landscape, we get free-flowing, spontaneous journeys full of the percussion work of Yamil Rezc. The landscapes are organized into a diverse progression of “lands,” variations on a theme and instrumentation. 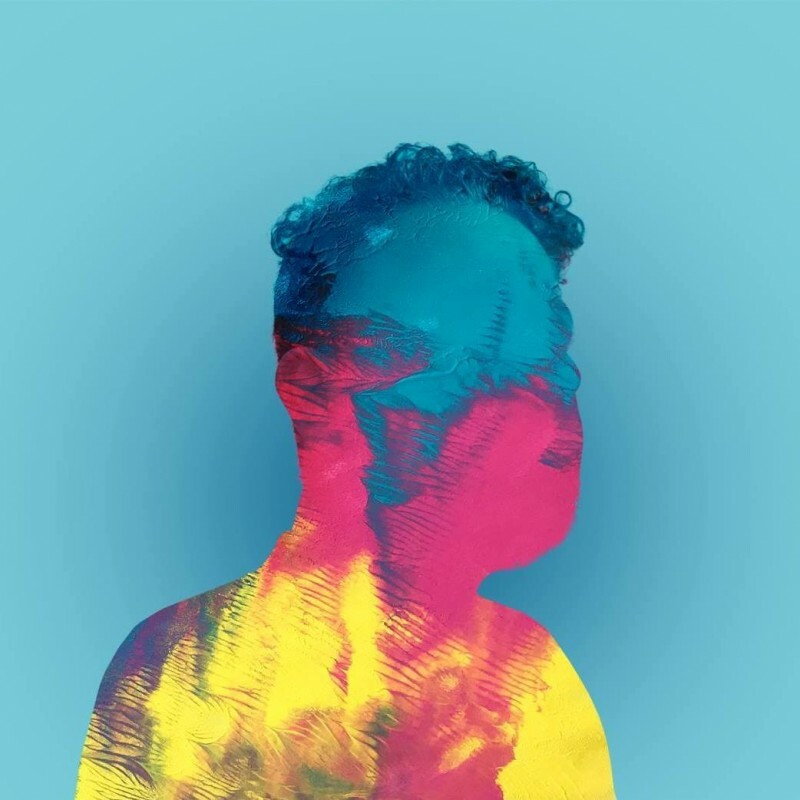 “Land I” opens with a squelchy, exposed bassline before breaking into a gentle, jazzy jam. “Land II” is a stuttering, irregular ambient world, drums and piano idly ambling in stumbles over top waves of fuzzy pads. “Land IV” is more futuristic, pulsing synths glistening as noise crests and breaks across the stereo field. “Land V” crackles and cycles in some final parting ritual. “Land III,” for which we get this video premiere, is clearly a highlight, an esoteric inner sanctum of the album, digital odd angles against a melancholy dialog of pad and bass. FAX, photo by Braulio Lam. 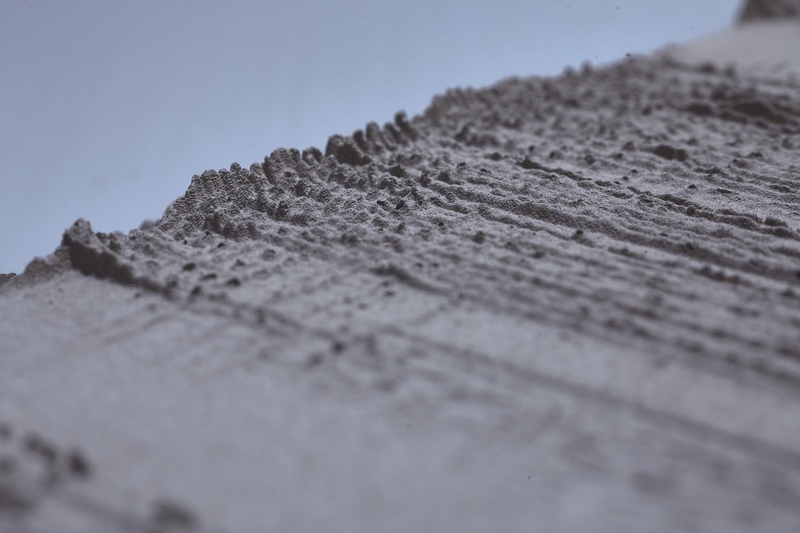 FAX’s atmospheres and musical progressions submerged me in a hypnotic trance that I had to capture. Land III, was an experimentation exercise, where the human collages of Jung Sing were distorted to mix these characters even more through the aesthetics of the glitch. I used Adobe After Effects to replicate a series of visual alterations that bad coding can cause in today’s tech devices, based on the musical figures to give them a synchronized intention. “Displacement mapping” was the technique that Hirám López used the most; It allows you to alternate pixel positions from a high contrast image, were the brightness intensity determines how the superimposed pixels on that image or map will move. Lopez’ method consisted in using several layers of this effect on Jung’s illustrations, placing keyframes and expressions (code that detects audio and converts it in a numeric value) that moved the distortion map along the x and y axes, in sync with the music. Under the concept of permanence of the disturbance, as a ghostly trace of the previous or later character, the “Datamoshing” effect created dynamic transitions, with this same tool. Due to its hypnotic effect, the waves and tunnels created with various plugins including “Ripple” and “Radio waves” were very helpful for depth simulation, the repetition of the illustrations, and the Mandelbrot type fractals to emphasize the trance. Also, “masking” allowed López to cut out some elements from the characters in order to extend its fragmentation, also as a resource based on musical sync and especially on visual composition. The full album is out on Bandcamp and other services from Static Discos. 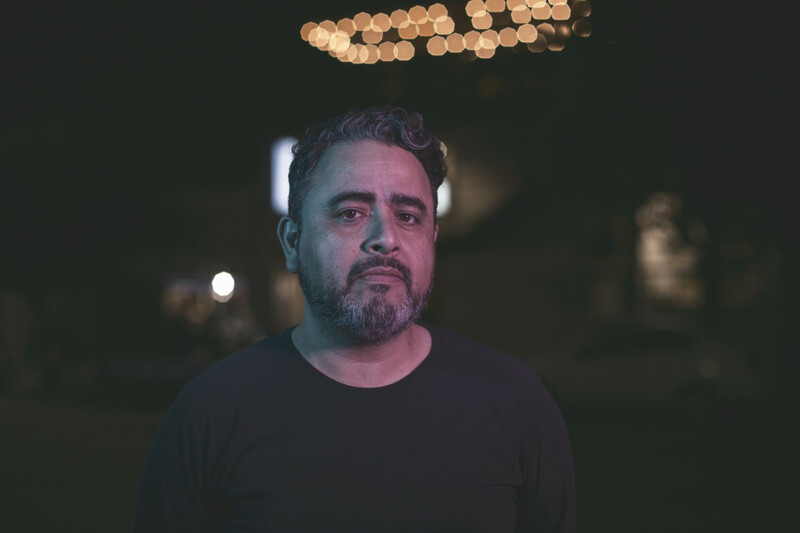 The post Premiere: rituals of sound and rhythm in the latest from Mexico’s FAX appeared first on CDM Create Digital Music. And collide is the right word. Sound and image are all hard edges, primitive cuts, stimulating corners. 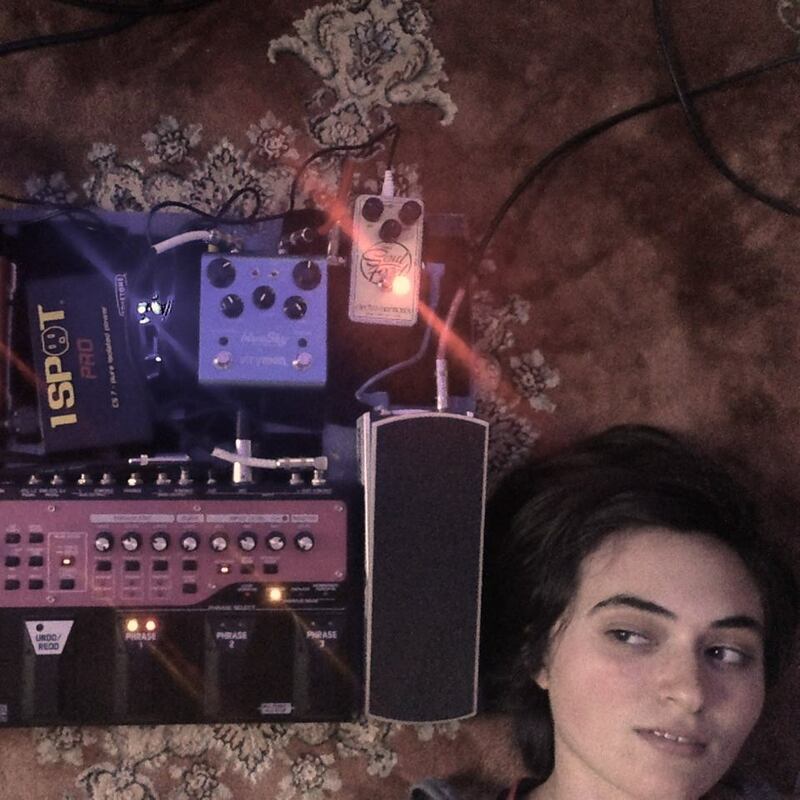 Shiva Feshareki is a London-born composer and turntablist; she’s also got a radio show on NTS. 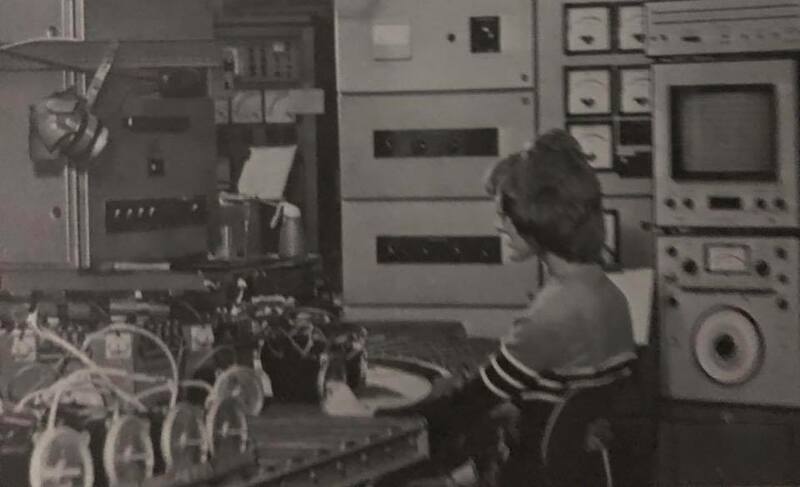 With a research specialization in Daphne Oram (there’s a whole story there, even), she’s made a name for herself as one of the world’s leading composers working with turntables as medium, playing to the likes of the Royaal Albert Hall with the London Contemporary Orchestra. Her sounds are themselves often spatial and architectural, too – not just taking over art spaces, but working with spatial organization in her compositions. But since FACT covered the sound side of this, I decided to snag Daniel James Oliver Haddock. Daniel also wins the award this week for “quickest to answer interview questions,” so hey kids, experimental turntablism will give you energy! The conception formed out of conversations with Shiva about the nature of her work and the ways in which she approaches sound. 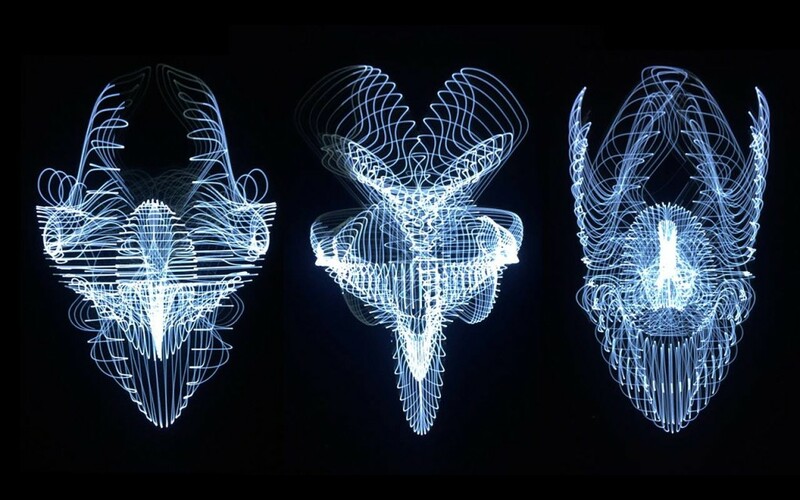 She views sound as these unique 3D structures which can change and be manipulated. So I wanted to emulate that in the video. I also was interested in the drawings and diagrams that she makes to plan out different aspects of her performances, mapping out speakers and sound scapes, I thought they were really beautiful in a very clinical way so again I wanted to use them as a staging point for the 3D environments. I made about 6 environments in cinema 4d which were all inspired by these drawings. Then animated these quite rudimentary irregular polyhedrons in the middle to kind of represent various sounds. Her work usually has a lot of sound manipulation, so I wanted the shapes to change and have variables. I ended up rendering short scenes in different camera perspectives and movements and also changing the textures from monotone to colour. After all the Cinema 4d stuff, it was just a case of editing it all together! Which was fairly labour intensive, the track is not only very long but all the sounds have a very unusual tempo to them, some growing over time and then shortening, sounds change and get re-manipulated so that was challenging getting everything cut well. I basically just went through second by second with the waveforms and matched sounds by eye. Once I got the technique down it moved quite quickly. I then got the idea to involve some found footage to kind of break apart the aesthetic a bit. But it’s all a real good time with at the audio/visual synesthesia experimental disco. The post Take a 3D trip into experimental turntablism with V-A-C Moscow, Shiva Feshareki appeared first on CDM Create Digital Music. The Well-Tempered vector rescanner? A new audiovisual release finds poetry in vintage video synthesis and scan processors – and launches a new AV platform for ATOM TM. 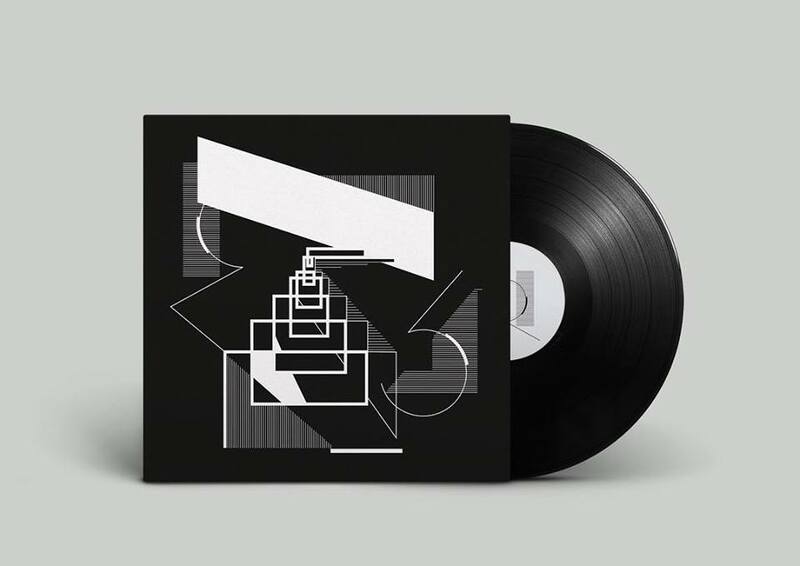 nuuun, a collaboration between Atom (raster, formerly Raster-Noton) and Americans Jahnavi Stenflo and Nathan Jantz, have produced a “current suite.” These are all recorded live – sound and visuals alike – in Uwe Schmidt’s Chilean studio. Minimalistic, exposed presentation of electronic elements is nothing new to the Raster crowd, who are known for bringing this raw aesthetic to their work. You could read that as part punk aesthetic, part fascination with visual imagery, rooted in the collective’s history in East Germany’s underground. But as these elements cycle back, now there’s a fresh interest in working with vectors as medium (see link below, in fact). As we move from novelty to more refined technique, more artists are finding ways of turning these technologies into instruments. Informed and inspired by Scan Processors of the early 1970’s such as the Rutt/Etra video synthesizer, “Current Suite No.1” uses the oscillographic medium as an opportunity to bring the observer closer to the signal. 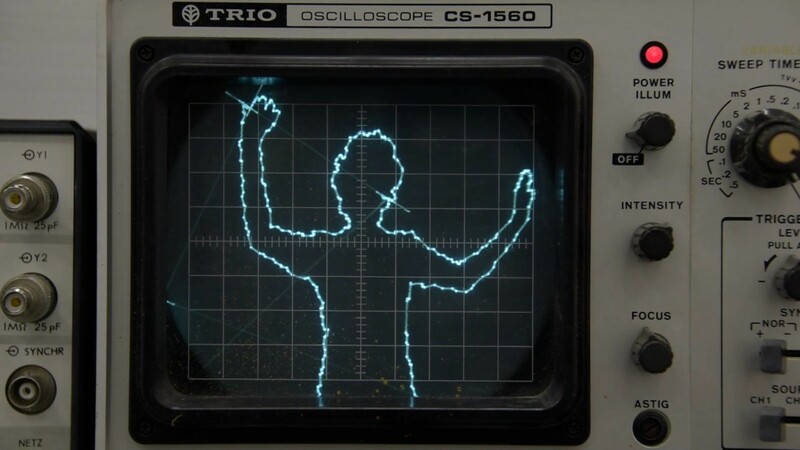 Through a technique known as “vector-rescanning”, one can program and produce complex encoded wave forms that can only be observed through and captured from analog vector displays. 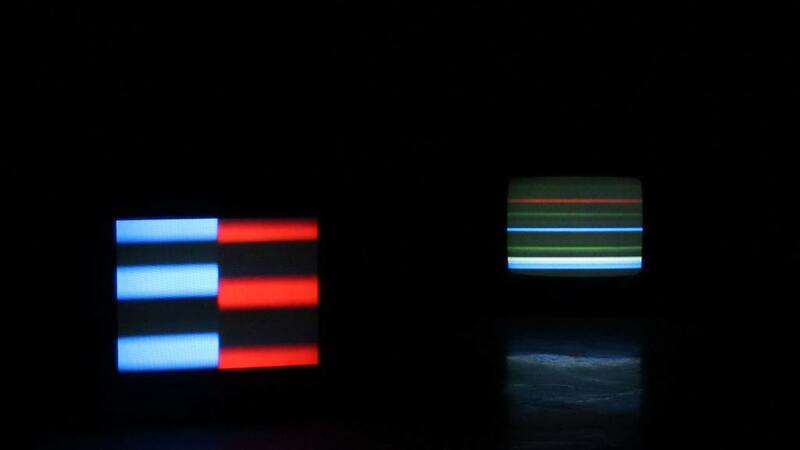 These signals modulate an electron-beam of a cathode-ray tube where the resulting phosphorescent traces reveal a world of hidden forms. 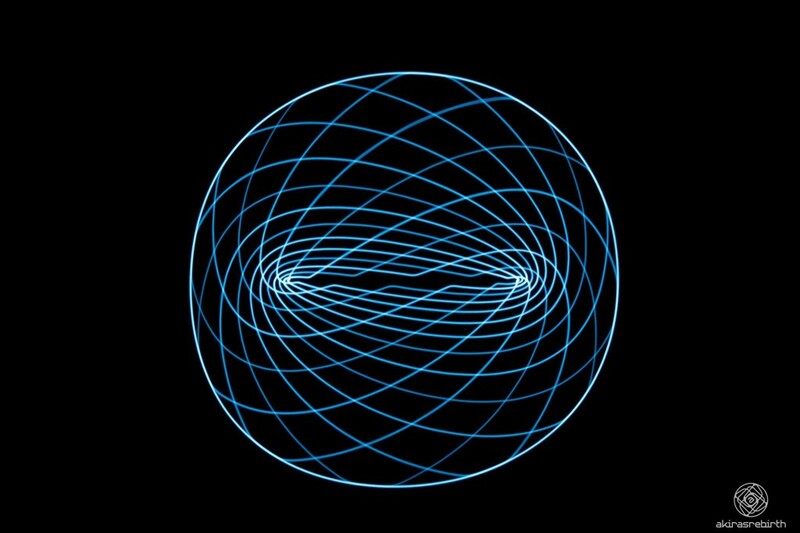 Both the music and imagery in each of these videos were recorded as live compositions, as if they were intertwined two-way conversations between sound and visual form to produce a unique synesthetic experience. Even with lots of prominent festivals, audiovisual work – and putting visuals on equal footing with music – still faces an uphill battle. Online music distribution isn’t really geared for AV work; it’s not even obvious how audiovisual work is meant to be uploaded and disseminated apart from channels like YouTube or Vimeo. So it’s also worth noting that Atom is promising that NN will be a platform for more audiovisual work. We’ll see what that brings. Of course, NOTON and Carsten Nicolai (aka Alva Noto) already has a rich fine art / high-end media art career going, and the “raster-media” launched by Olaf Bender in 2017 describes itself as a “platform – a network covering the overlapping border areas of pop, art, and science.” We at least saw raster continue to present installations and other works, extending their footprint beyond just the usual routine of record releases. There’s perhaps not a lot that can be done about the fleeting value of music in distribution, but then music has always been ephemeral. 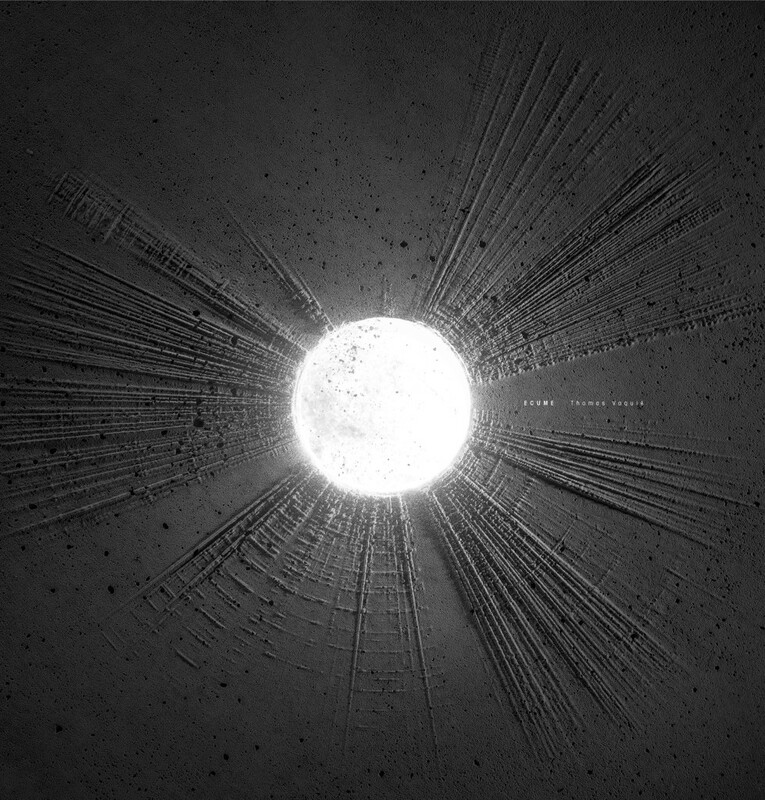 Let’s look at it this way – for those of us who see sound as interconnected with image and science, any conduit to that work is welcome. So watch this space. 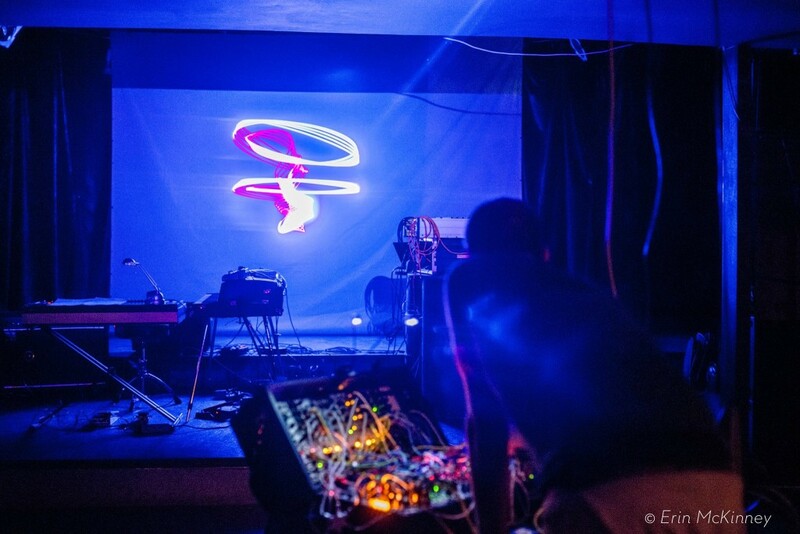 The post Live compositions on oscilloscope: nuuun, ATOM TM appeared first on CDM Create Digital Music. Tiptop Forbidden Planet Multimode Filter mit Tief-/Hoch-/Band-Pass Eingängen! 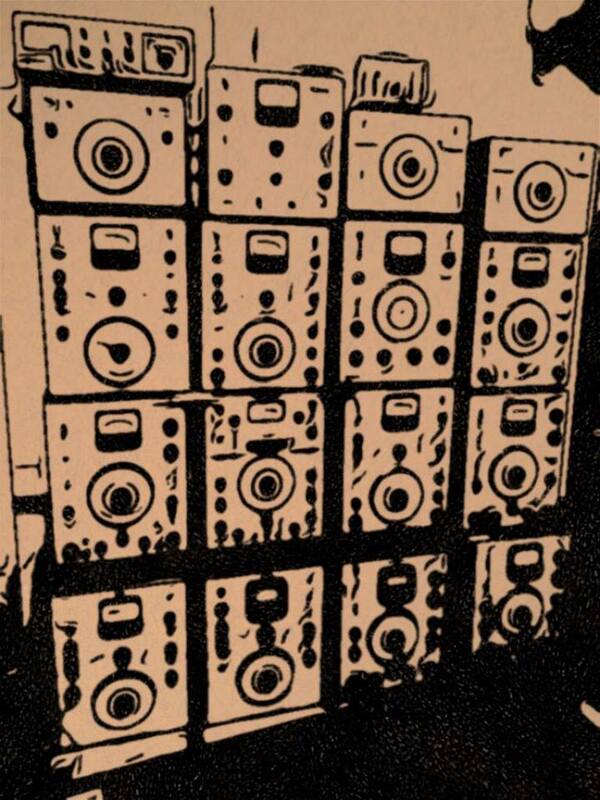 Sound is physical, but we don’t often get to see that physicality. 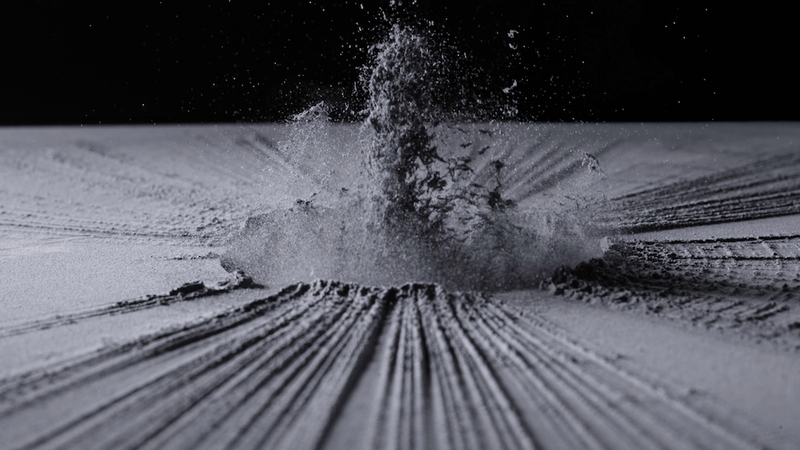 In this gorgeous video for Thomas Vaquié, directed by Nico Neefs, those worlds of vibrations explode across your screen. It’s the latest release from ANTIVJ, and it’s spellbinding. The sounds really do generate the visuals here, from generating terrain from an analysis from the waveform to revealing footage of metal powder animated by sonic vibrations. A self-made micro lens provides the optics. 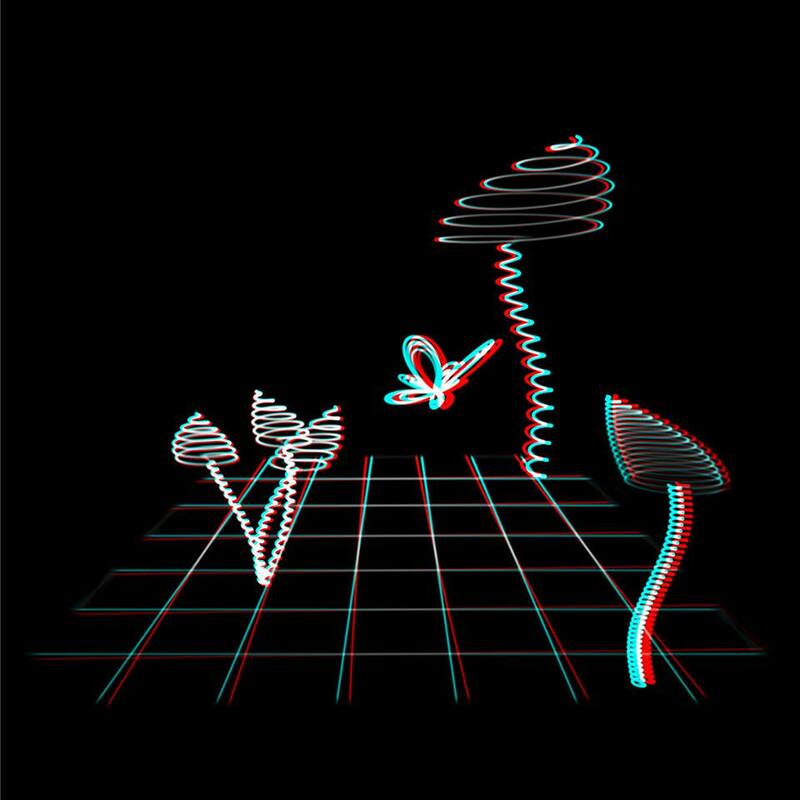 Everything in this video was made using the sound waves of the track Ether. 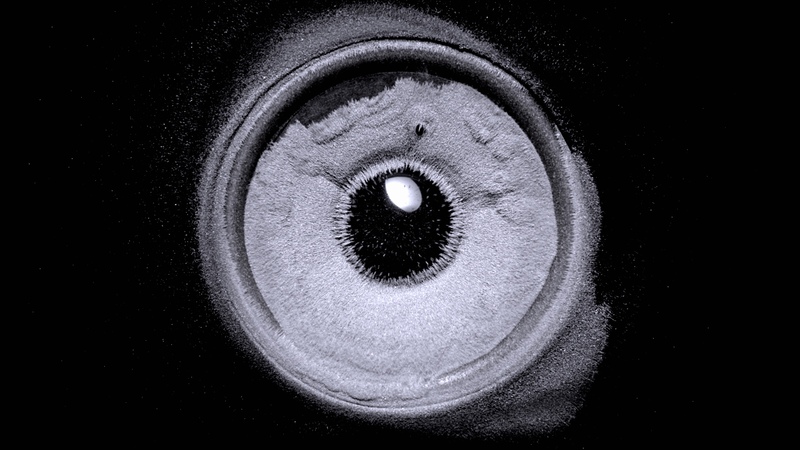 Equipped with a home-made micro lens, a camera travels inside physical representations of the musical composition, from a concrete mountain built from the spectrogram of the music, to eruptions of metal powder caused by rhythmic impulsions. Nico Neefs is the director, working with images he created with Corentin Kopp. 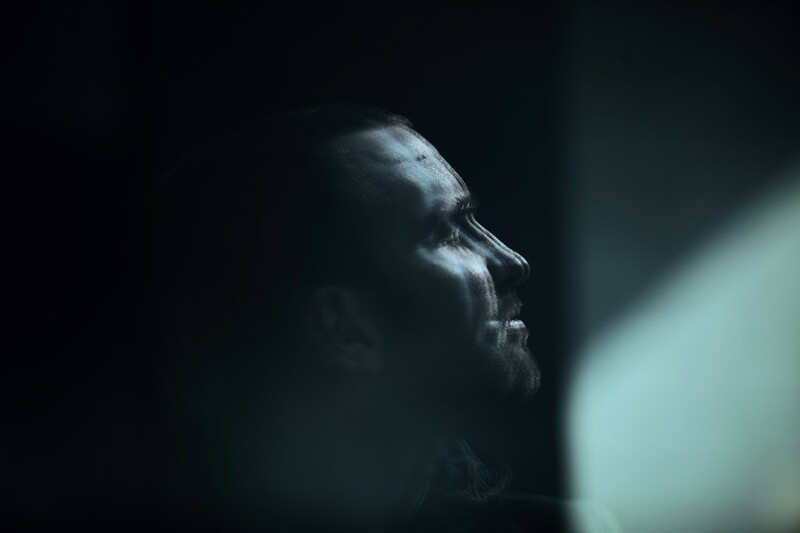 It’s set to music from Belgian producer Thomas Vaquié’s new album Ecume, on Antivj Recordings. That imprint has for over a decade been a label for audiovisual creations across media – release, installation, performance. Simon Geilfus developed the tool for visualization. They’ve employed the same techniques to make a very attractive physical release. The image you see in the artwork is cast from a concrete mold. 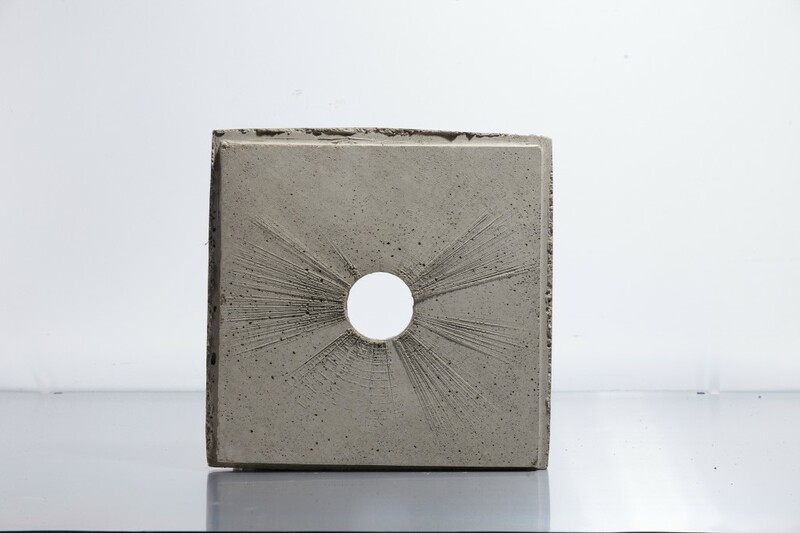 For a limited edition box set, they’re producing 33cm x 33cm plates cast from that mold in dark resin. And it’s ready to mount to a wall if you choose; hardware included. Or if you feel instead like you own enough things, there’s a digital edition. These are all derivations of compositions for site-specific and installation projects, the original pieces having been created as a response to place and space, to light and architecture, to code and motion. Now separated and transformed from their original context, the music takes on an independent existence in these new realisations. And there’s thoroughly fine string writing throughout – with a sense that strings and electronic media are always attuned to one another. Ether embodies the world that exists above the skies. It is the air that the gods breathe. that asphyxiation that we feel when faced with immensity. Filmed at BFC Studio, Brussels 2018. The post In gorgeous ETHER, a handmade micro lens brings cymatics closer appeared first on CDM Create Digital Music. Max 8 is released today, as the latest version of the audiovisual development environment brings new tools, faster performance, multichannel patching, MIDI learn, and more. 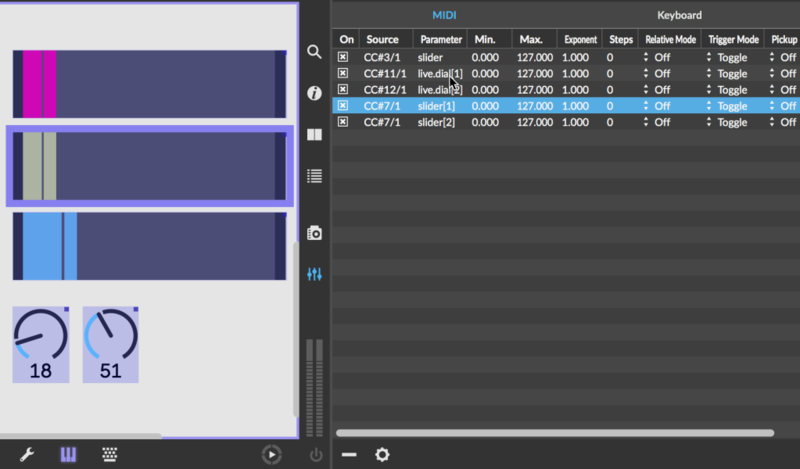 It’s always been possible to do multichannel patching – and therefore support multichannel audio (as with spatial sound) – in Max and Pure Data. But Max’s new MC approach makes this far easier and more powerful. Any sound object can be made into multiples, just by typing mc. in front of the object name. A single patch cord can incorporate any number of channels. You can edit multiple objects all at once. So, yes, this is about multichannel audio output and spatial audio. But it’s also about way more than that – and it addresses one of the most significant limitations of the Max/Pd patching paradigm. Synthesis approaches with loads of oscillators (like granular synthesis or complex additive synthesis)? MC. 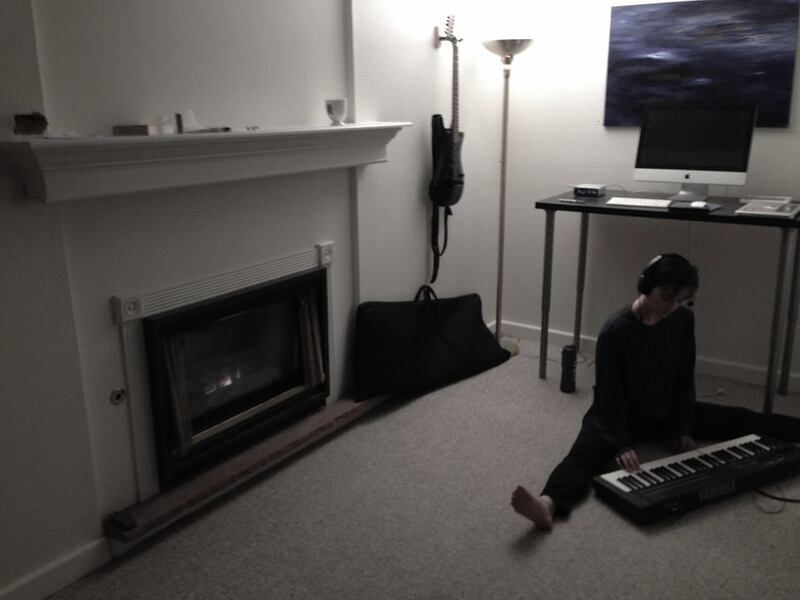 MPE assignments (from controllers like the Linnstrument and ROLI Seaboard)? MC. MC means the ability to use a small number of objects and cords to do a lot – from spatial sound to mass polyphony to anything else that involves multiples. Mappings lets you MIDI learn from controllers, keyboards, and whatnot, just by selecting a control, and moving your controller. Computer keyboard mappings work the same way. 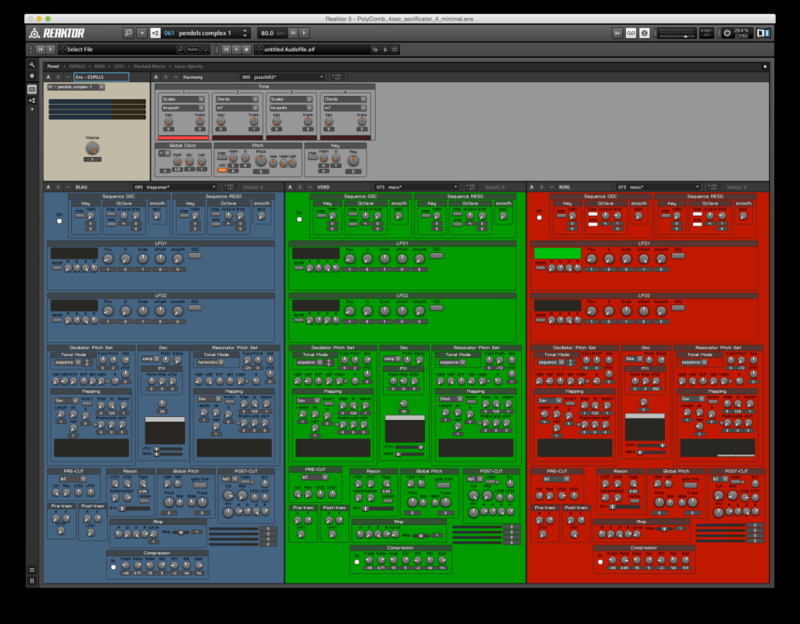 The whole implementation looks very much borrowed from Ableton Live, down to the list of mappings for keyboard and MIDI. It’s slightly disappointing they didn’t cover OSC messages with the same interface, though, given this is Max. Max 8 has various performance optimizations, says Cycling ’74. But in particular, look for 2x (Mac) – 20x (Windows) faster launch times, 4x faster patching loading, and performance enhancements in the UI, Jitter, physics, and objects like coll. There’s full NPM support, which is to say all the ability to share code via that package manager is now available inside Max. Actually, this may be the bit that a lot of long-time Max users find most exciting, even despite the banner features. Patching is now significantly enhanced. You can patch and unpatch objects just by dragging them in and out of patch cords, instead of doing this in multiple steps. Group dragging and whatnot finally works the way it should, without accidentally selecting other objects. And you get real “probing” of data flowing through patch cords by hovering over the cords. There’s also finally an “Operate While Unlocked” option so you can use controls without constantly locking and unlocking patches. There’s also a refreshed console, color themes, and a search sidebar for quickly bringing up help. And of course a ton of new improvements for Max objects and Jitter. What about Max for Live? Okay, Ableton and Cycling ’74 did talk about “lockstep” releases of Max and Max for Live. But… what’s happening is not what lockstep usually means. Maybe it’s better to say that the releases of the two will be better coordinated. Max 8 today is ahead of the Max for Live that ships with Ableton Live. But we know Max for Live incorporated elements of Max 8, even before its release. Based on past conversations, that means that as much functionality as possibly can be practically delivered in Max for Live will be there. And with all these Max 8 improvements, that’s good news. I’ll try to get more clarity on this as information becomes available. Ther’s a 30-day free trial. Upgrades are US$149; full version is US$399, plus subscription and academic discount options. The post Max 8: Multichannel, mappable, faster patching is here appeared first on CDM Create Digital Music. The work, made public this month but part of ongoing research, is the creation of multidisciplinary Barcelona-based AV team Playmodes. 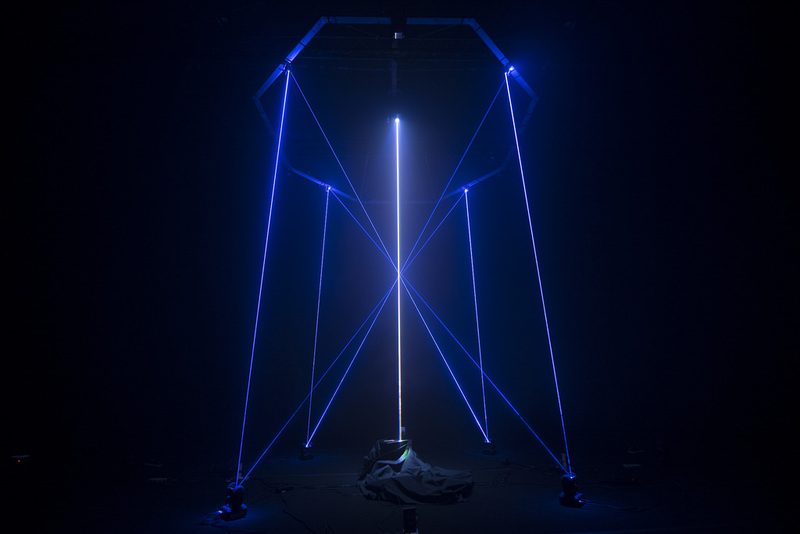 And while large-scale laser projects are becoming more frequent in audiovisual performance and installation, this one is unique both in that it’s especially expressive and a heavily DIY project. So while dedicated vendors make sophisticated, expensive off-the-shelf solutions, the Playmodes crew went a bit more punk and designed and built many of their own components. That includes robotic mirrors, light drawing tools, synths, scenery, and even the laser modules. They hacked into existing DMX light fixtures, swapping mirrors for lamps. They constructed their own microcontroller solutions for controlling the laser diodes via Artnet and DMX. 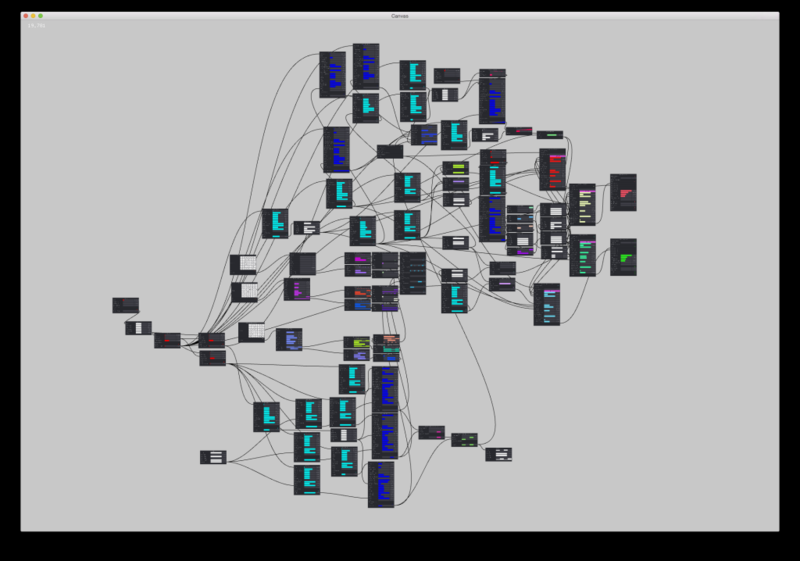 And, oh yeah, they have their own visual programming framework, OceaNode, a kind of home-brewed solution for imagining banks of modulation as oscillators, a visual motion synth of sorts. Oh yeah, and they made a VST plug-in to send OSC from Reaper, so they can automate OSC envelopes using the Reaper timeline. OceaNode, visual programming software, also a DIY effort by the team. 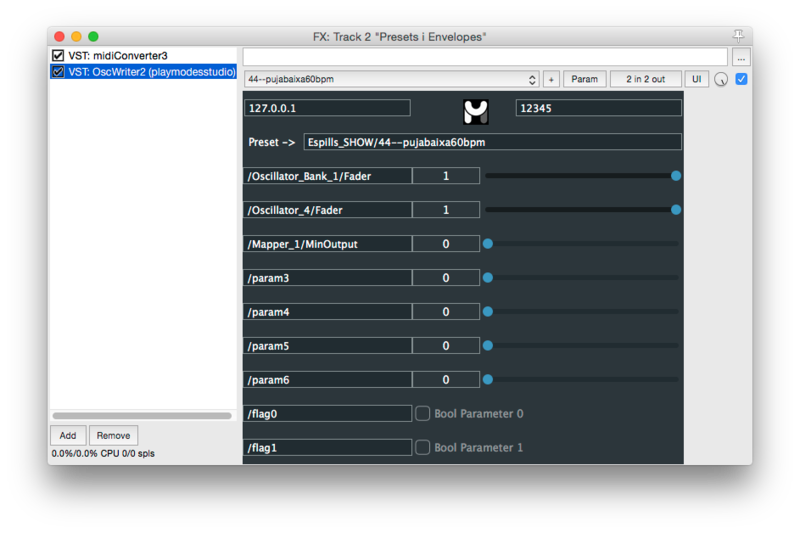 … and the DIY OSC VST plug-in, to allow easy automation from a DAW (Reaper, in this case). It’s really beautiful work. 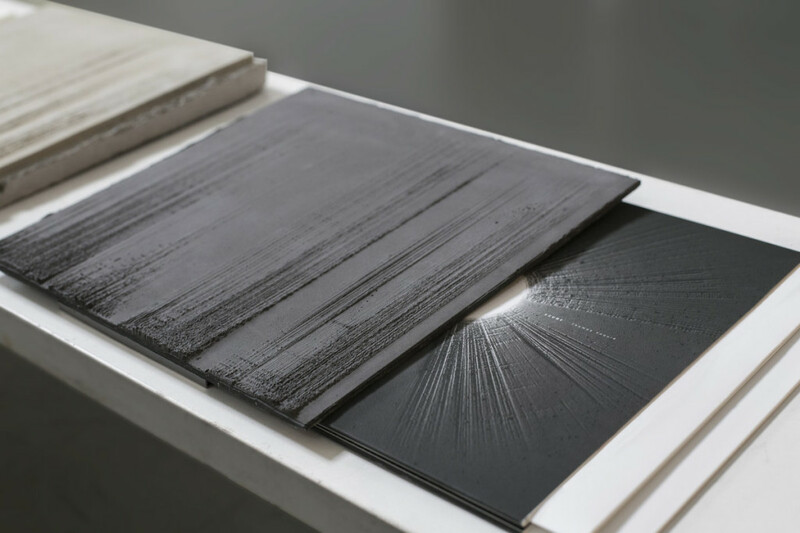 You have to notice that the artists making best use of laser tech – see also Robert Henke and Christopher Bauder here in Berlin – are writing some of their own code, in order to gain full control over how the laser behaves. I think we’ll definitely want to follow this work as it evolves. And if you’re working in similar directions, let us know. The post This light sculpture plays like an instrument, escaped from Tron appeared first on CDM Create Digital Music. Vector Hack claims to be “the first ever international festival of experimental vector graphics” – a claim that is, uh, probably fair. And it’ll span two cities, starting in Zagreb, Croatia, but wrapping up in the Slovenian capital of Ljubljana. Why vectors? Well, I’m sure the festival organizers could come up with various answers to that, but let’s go with because they look damned cool. And the organizers behind this particular effort have been spitting out eyeball-dazzling artwork that’s precise, expressive, and unique to this visceral electric medium. Unconvinced? Fine. Strap in for the best. Festival. Trailer. Ever. We have gathered a group of fifteen participants all working in the field from a diverse range of locations including the EU, USA and Canada. 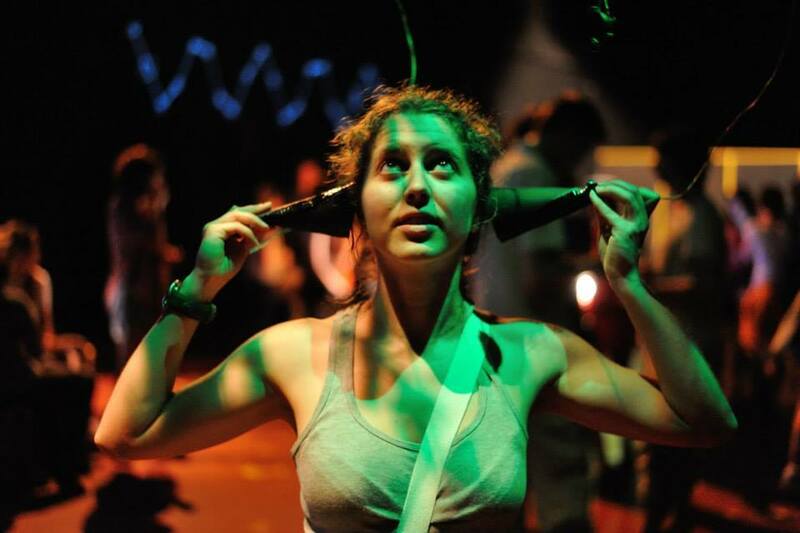 Each participant brings a unique approach to this exiting field and it will be a rare chance to see all their works together in a single program. support from Radiona.org/Zagreb Makerspace as a collaborative international project alongside Ljubljana’s Ljudmila Art and Science Laboratory and Projekt Atol Institute. It was conceived and initiated by Ivan Marušić Klif and Derek Holzer with assistance from Chris King. 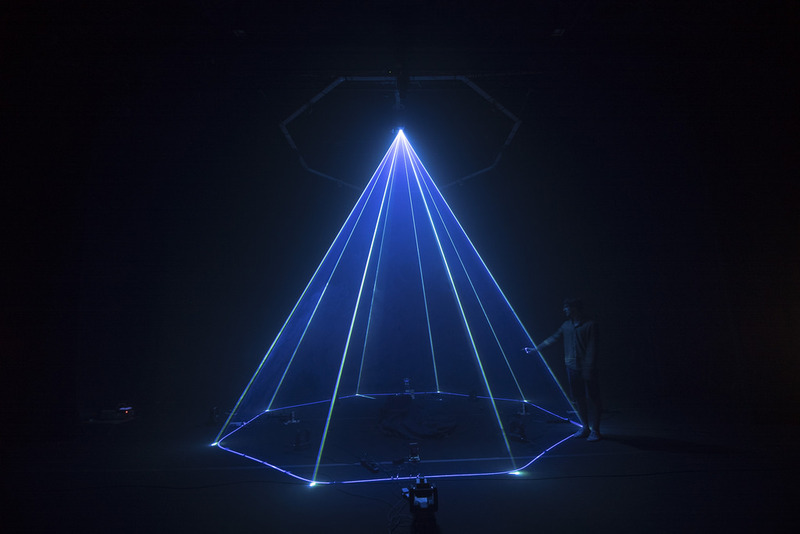 Robert Henke is featured, naturally – the Berlin-based artist and co-founder of Ableton and Monolake has spent the last years refining his skills in spinning his own code to control ultra-fine-tuned laser displays. But maybe what’s most exciting about this scene is discovering a whole network of people hacking into supposedly outmoded display technologies to find new expressive possibilities. The vector generator is an all-analog design using two integrators: X and Y. The computer sets the integration rates using a digital-to-analog converter. The computer controls the integration time by momentarily closing electronic analog switches within the operational-amplifier based integrator circuits. Voltage ramps are produced that the monitor uses to steer the electron beam over the face of the phosphor screen of the cathode ray tube. Another signal is generated that controls the brightness of the line. Ted Davis is working to make these technologies accessible to artists, too, by developing a library for coding-for-artists tool Processing. 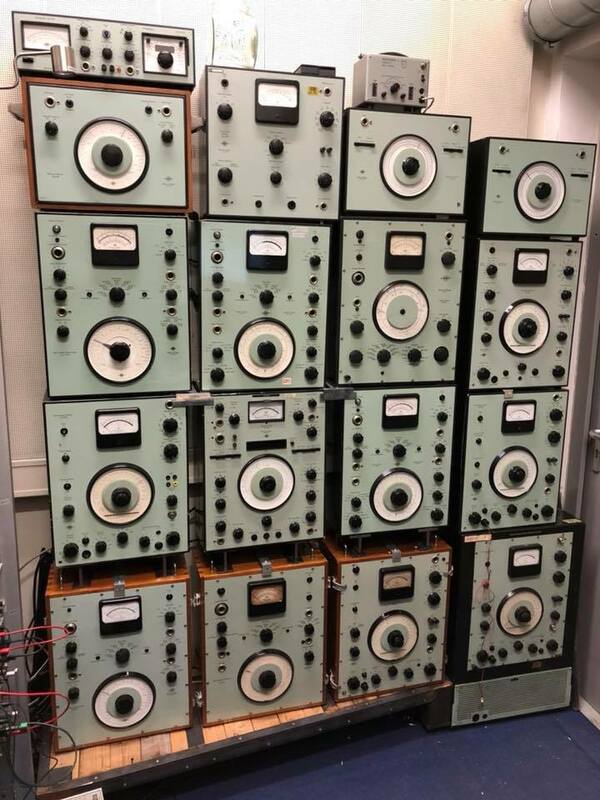 Oscilloscopes, ready for interaction with a library by Ted Davis. Here’s a glimpse of some of the other artists in the festival, too. It’s wonderful to watch new developments in the post digital age, as artists produce work that innovates through deeper excavation of technologies of the past. 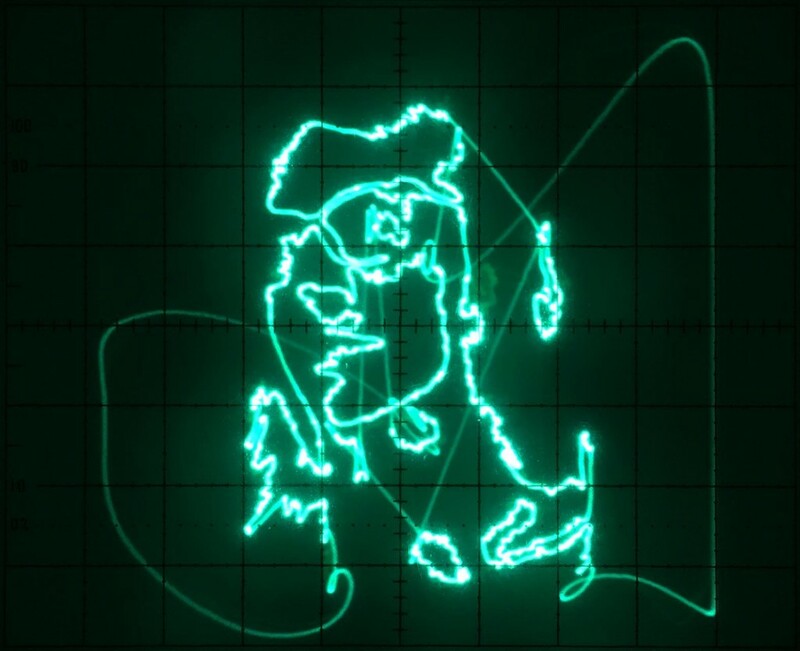 The post Vectors are getting their own festival: lasers and oscilloscopes, go! appeared first on CDM Create Digital Music. 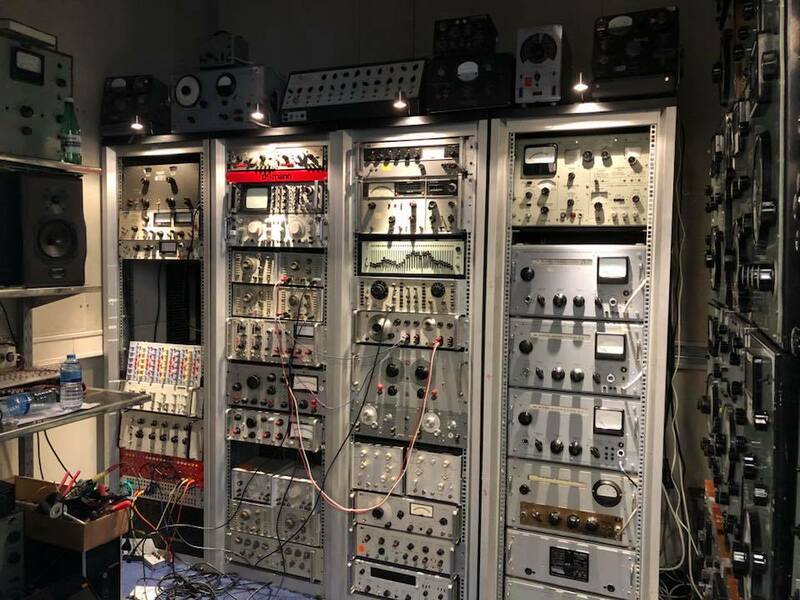 It’s dubbed a “Waveform Research Centre” – and Rotterdam’s gear-stuffed WORM laboratory is a science fiction playground for voltages, making music and visuals alike. Let’s go inside. I first met Dennis whilst I was in the WORM studio on an artist residency in 2017. 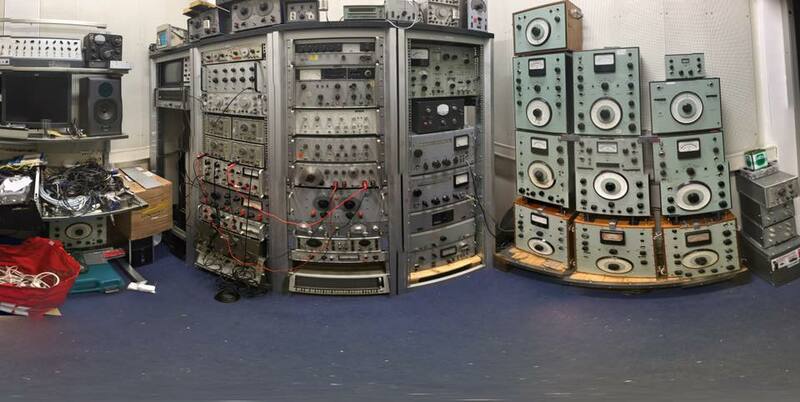 The WORM studio is like a geological trip through electronic music’s history but I was about to travel even further back. Strange ghostly tones emanated from the old vocal booth next door, it was this space that Dennis had filled with mid 20th century audio test equipment, going back to the roots of audio electronic experiments before commercially available instruments from Moog or Roland, before keyboards, back to Stockhausen, Else Marie Pade, Daphne Oram, Raymond Scott and the like. Why now? is this the logical conclusion of Mark Fisher’s cultural hauntology? do we end up back at the source? the sound of past futures? For Dennis it seemed more a way to dodge the hipsters, and invite collaboration. Dennis and I had a friend in common Steve Grimley-Taylor, a lover of all things electronic and sound related (founder of Thonk.co.uk). When I expressed the idea of making a film about Dennis, Richard Foster from WORM kindly agreed to let us. 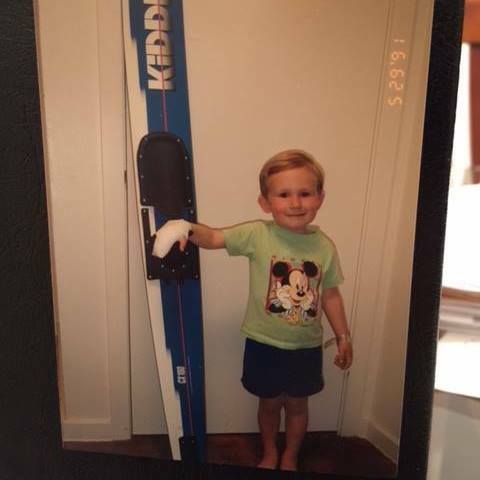 This is a short film about Dennis, his journey and his room. You know what time it is, kids? It’s gear pr0n, time. Some waveform pics to get your Friday night started right. WORM Rotterdam is also a great all-encompassing event venue. 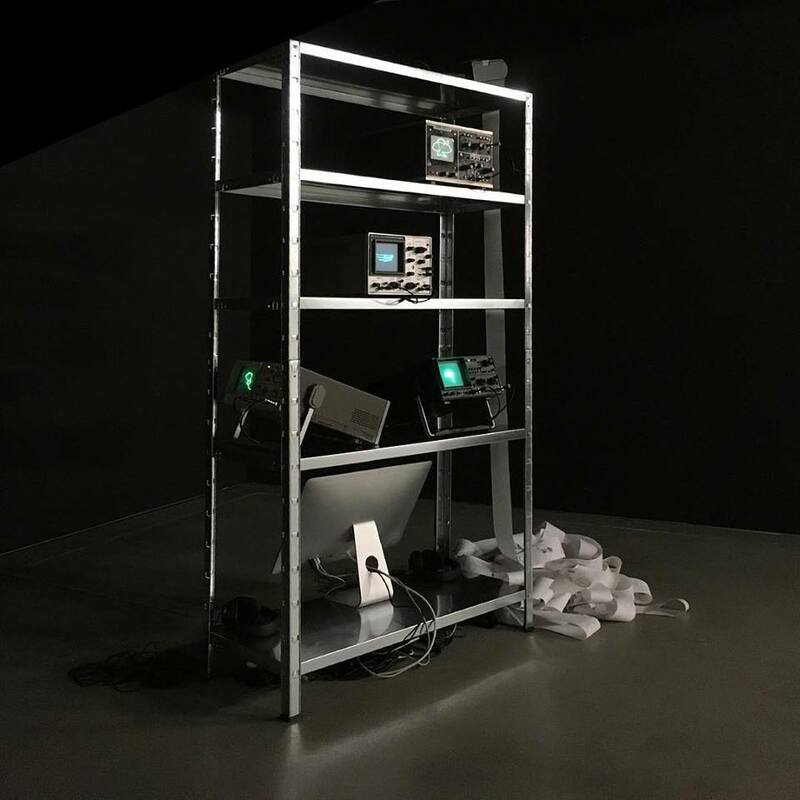 The post Immerse yourself in Rotterdam’s sonic voltages, in the WORM laboratory appeared first on CDM Create Digital Music.